Our stylish and modern accommodation includes a choice of 352 newly refurbished spacious and comfortably appointed sea-facing rooms. The hotel’s fresh, contemporary styling induces a sense of comfort and relaxation. Individually controlled air conditioning, in room tea and coffee facilities, TV with selected DStv channels and a host of amenities are on offer, while smoking and wheelchair accessible rooms are available on request. 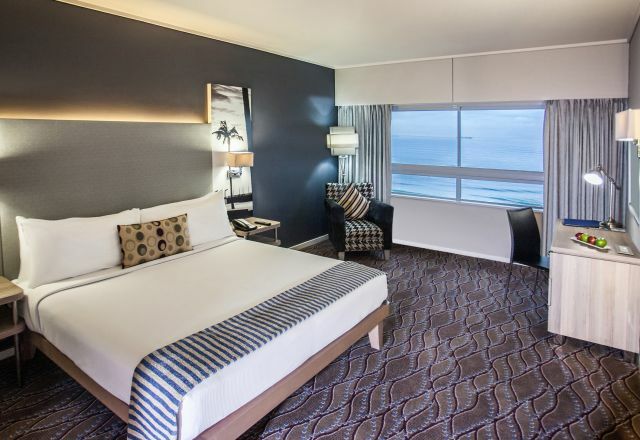 Our Standard Rooms offer a great combination of Durban beachfront accommodation, home comforts and affordability. Standard Surcharge Rooms at the Garden Court Marine Parade have two double beds, as well as en-suite bathroom. 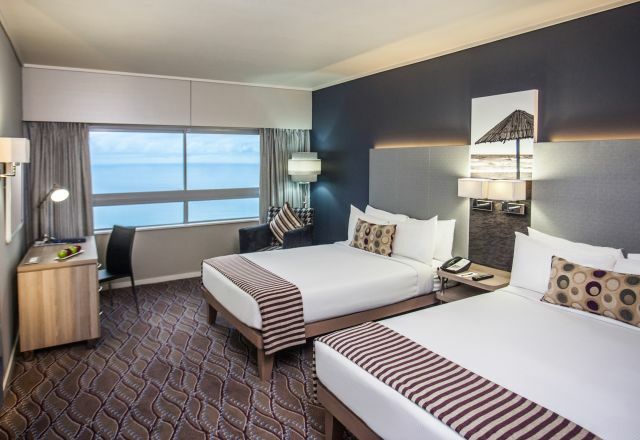 Our Family Rooms offer a great combination of Durban beachfront accommodation with two double beds.